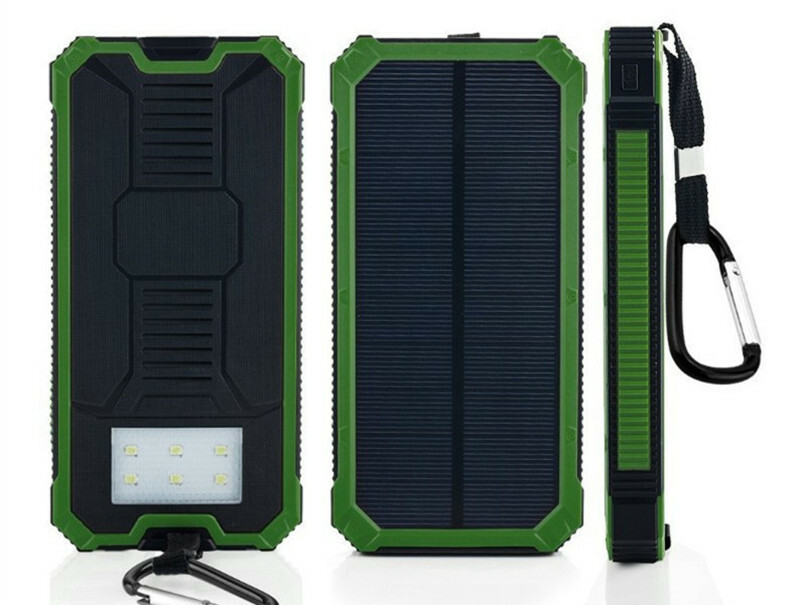 You can say goodbye to running out of power on your phones, laptops and other gadgets with this amazing Solar Power Bank 10000mAh. The design is classic, lightweight and very portable to ensure easy carriage around. The best eco friendly silicone protects it from rain, dirt and shocks. The dual USB outlet makes it easy to charge two smartphones devices at the same time. And there are 5 indicator lights for power charge indication complete with a LED light. 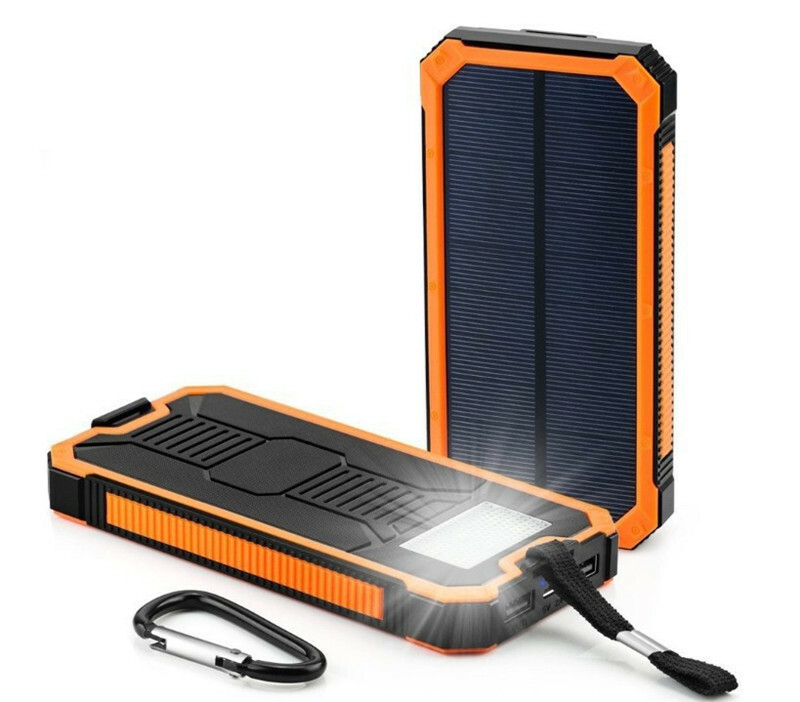 This Solar Power Bank is waterproof with IP65 protection and with auto-charging sensor. It also comes with anti-explosion and with a long lifespan. 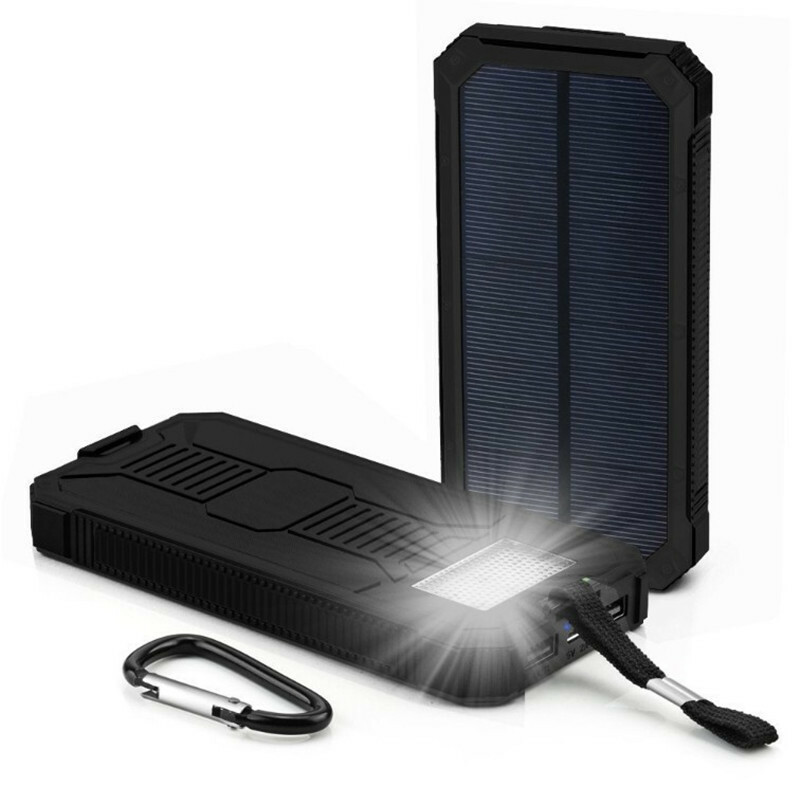 External battery charger with solar panel can recharge by solar or outlet. There is also a compass and lock facility for safety and protection. 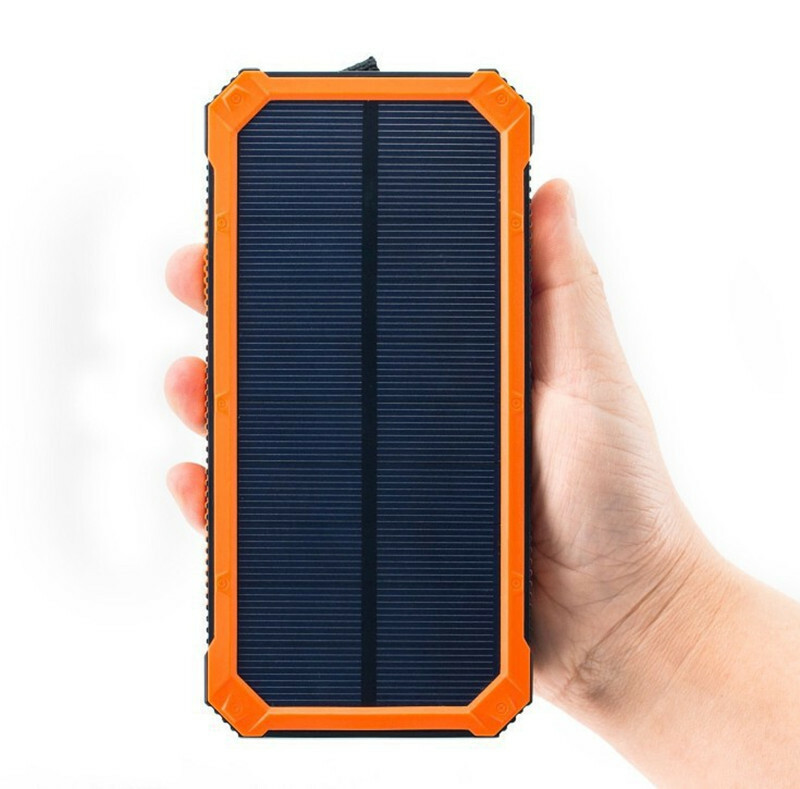 This solar panel power bank 10000mAh is compatible with most USB charges devices such as iPhones, iPad, iPods, Samsung phones and other Androids. 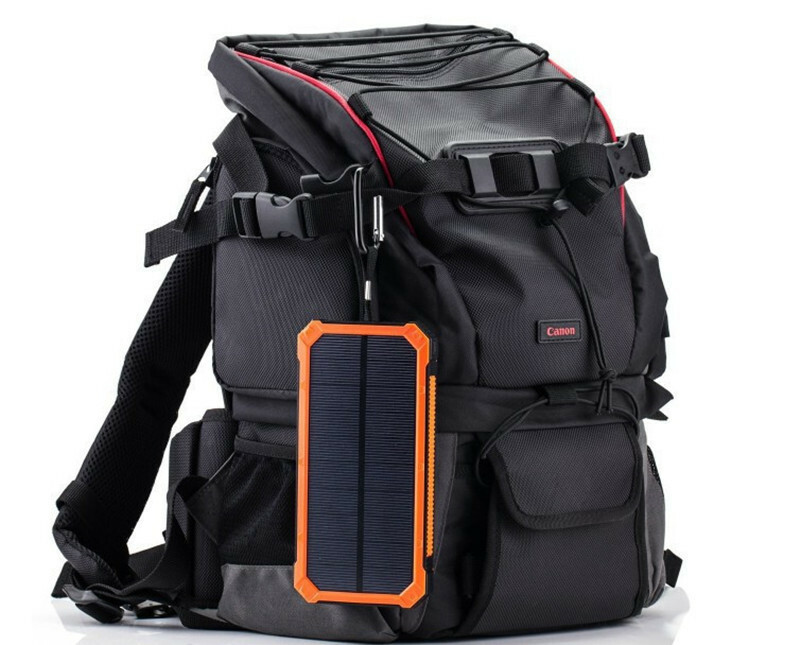 Kindly note that solar charger is not your main charging source but for emergency use. It takes about 40 hours for this device to be fully charged under direct sunlight. It is highly recommended to charge this device by wall charger which takes only few hours. First charge should be via wall charger to fully activate the device. The goods came three weeks before omsk, all as in the picture, everything works, the flashlight is very bright, charging goes, in general, super, i will order another one. Thank you very much to the store. The goods corresponded to what was in the description, in any case externally. As for the insides, it's harder. Battery without identification marks. The real capacity is unknown (the store promised 20000 mah). With the coming charge discharged two gadgets. Charged to full charge (according to the indicator) hours 9. solar battery for 1 w, it is in bright sun. How to behave further until i can say. The description corresponds, and sent only in a week and a half. Quickly deliver, works well. Thank You Very Much! Power bank works well. Seller is correct. Highly recommended! GREAT PRODUCT! SYN, ELEPHANT))))) THIN, WITH A FLASHLIGHT! JUST FINE! CAME WITHIN A MONTH, DID NOT COMMUNICATE, WAS NOT NECESSARY. Packed very tightly and firmly, reached, works excellent, beautiful design. It works great! I am very happy with the product! Poishlo moskvu for 20 days. Fits the description of goods, all works, securely packed. No complaints.